Forming part of the J-me Essentials collection, this is a sturdy crusher to finely mince garlic with no smelly fingers; doubles as an olive stoner. The design is such that the mesh panel opens out to allow easier removal of the garlic skin and cleaning. 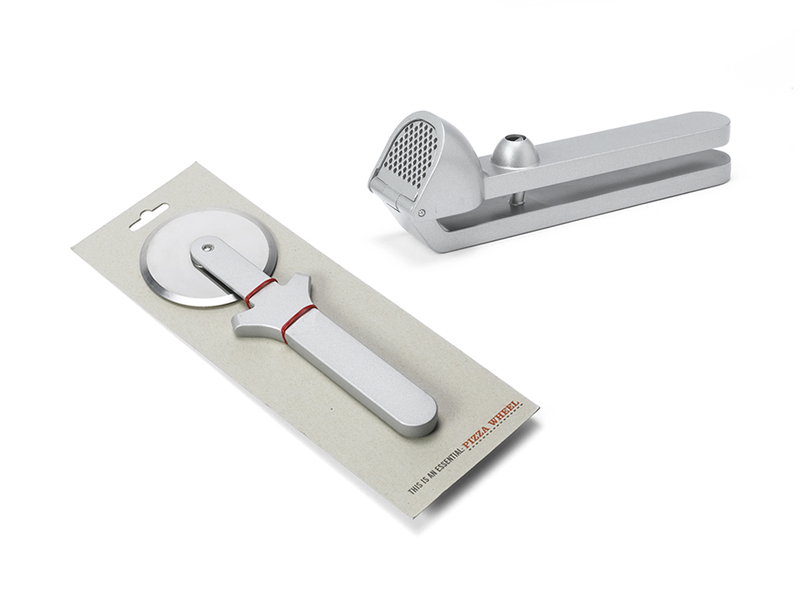 Another addition to the J-me Essentials collection, this pizza wheel has an easy-grip handle with a sharp stainless steel blade for slicing through melted cheese and crispy bases. The over-sized wheel is also ideal for cutting quiches and tarts too.